-Served a total of 32 days in office. Easily the shortest tenure of a US President. -Oldest man elected until Ronald Reagan. -Last president to have been born before American independence. -Formerly had served as governor of Indiana Territory, a US Representative, and US Senator from Ohio. -He was elected as a delegate from the new Northwest Territory, which constisted of present day Ohio, Indiana, Illinois, Michigan, Wisconsin, and some of Minnesota. During this time, he wrote a piece of legislation called the Harrison Land Act, which allowed settlers in the area to buy land at a much cheaper rate. This vastly increased the population in the area, leading to Ohio’s eventual statehood in 1803. After Ohio became a state, the remaining area was renamed Indiana Territory, because of it was the Indian’s land. 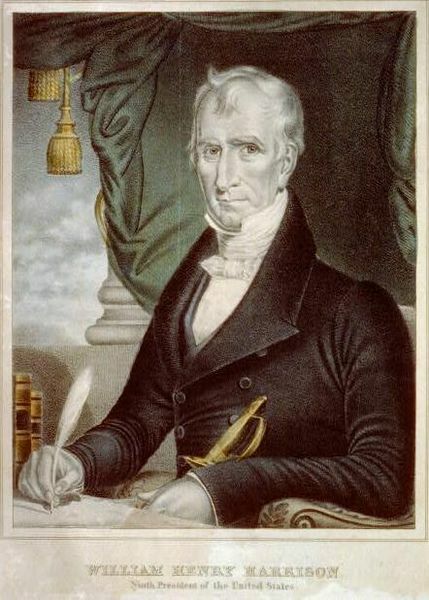 -Harrison became governor of Indiana Territory at the recommendation of the President John Adams. who chose him because he had lived in the area for many years, and because he was fairly moderate in his political beliefs. 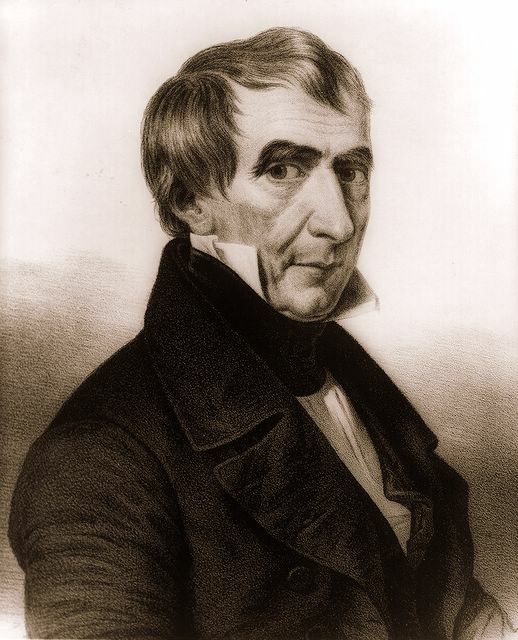 -While serving as governor of Indiana Territory, he led American forces in the Battle of Tippecanoe (So named because of the river near the battle site). Tecumseh, an Shawnee Indian, was trying to form a confederacy of Indian tribes to combat the expansion of Americans headed West. Indians in the territory had already begun to sell their land to America, which angered Tecumseh. He thought that the land was owned by all the Indians and that they should not sell any land without everyone’s approval. He went around the area to get support to form a group to fight American expansion. 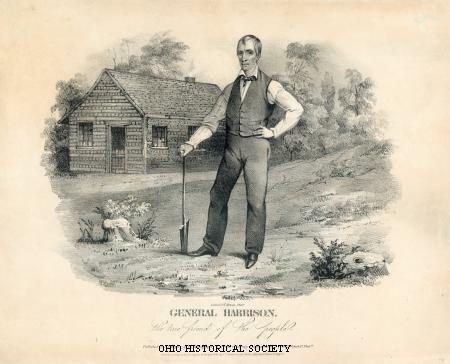 Harrison also wanted Indiana Territory to gain popularity among settlers so it could achieve statehood. 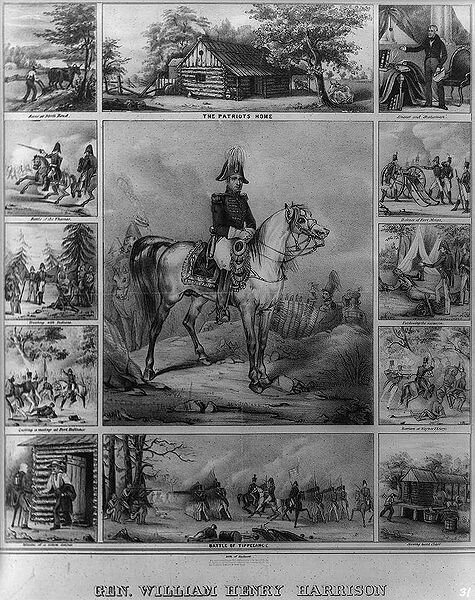 At the time, the Indian confederacy that Tecumseh was leading was a major threat to the expansion movements, so Harrison took forces from Corydon (then the capital of Indiana Territory) and marched towards the Indian town of Prophetstown (near present day Lafayette, Indiana) to quell the movement. 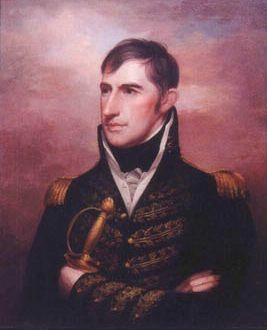 After the success of the battle, Harrison became known as “Old Tippecanoe”. He became even more famus during the War of 1812 with the Battle of Thames. -Harrison was in retirement when he was asked to run for President. He had been running a large corn operation and built a distillery to make whiskey. Harrison narrowly lost the 1836 election against Van Buren. This was probably because the Whig Party had more than one name of their ticket (4 in total). During the 1840 election, he was called Granny Harrison, the petticoat general, because he resigned from the army before the end of the War of 1812. He also was called “out of touch” because he would rather “sit in his log cabin drinking hard cider” than serve his country. He adopted this image, and began putting up posters and selling bottles of hard liquor in the shape of log cabins. While the popular vote was close, Harrison won the electoral votes in a landslide. 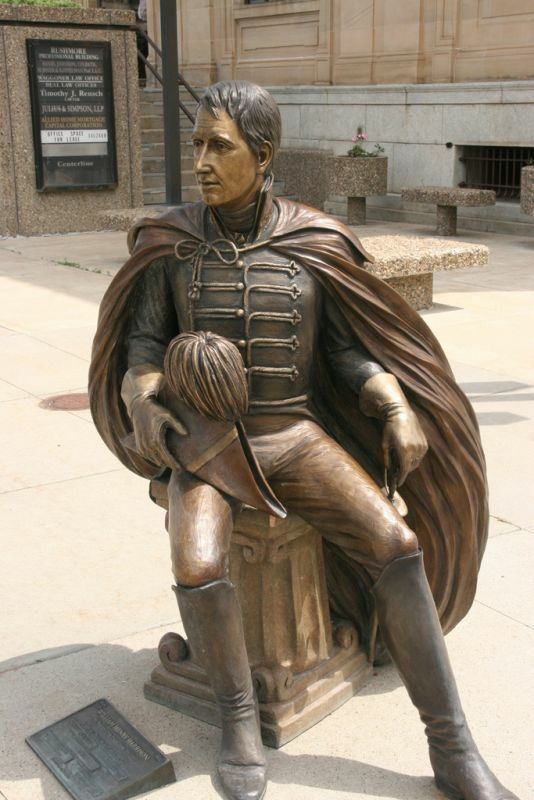 -His slogan during the 1840 election, “Tippecanoe and Tyler too!” is one of the most famous slogans in campaign history. -He gave his Inauguration address on March 4th, which happened to be a snowy, cold, and wet day in Washington. He did not wear a coat or hat, and gave a two hour long address, the longest in history. He died 32 days later of a cold. Historically, he got the cold the day of his Inauguration, but modern historians believe that he caught a cold, and the stress and pressures of the presidency put his health in jeopardy. Even while he was sick, people still demanded his presence. The medications he received from his doctors didn’t help either. He was given castor oil, opiates, and snakeweed (which is poisinous). -His death put the modern succession of the Presidency in effect. 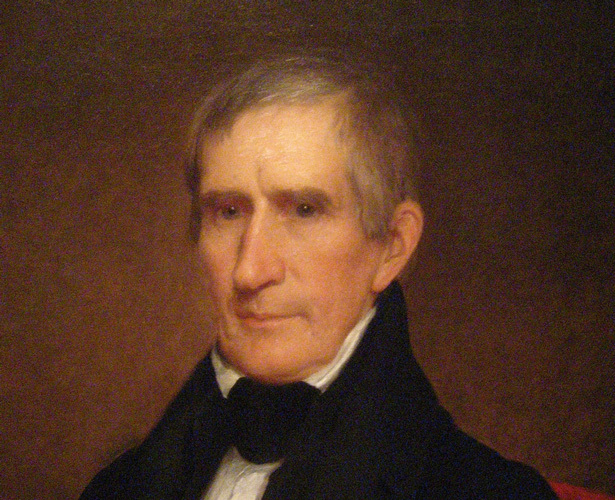 Harrison was the first President to die in office. But Matt he has the golden plate, and he’s a little squirt-wirt-wirt! At wirt-wirt, the singers would spit tobacco juice out of their mouths.